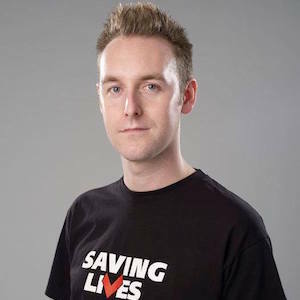 Hi, my name is Tom Hayes and I am a passionate HIV activist and advocate. Working across the UK and Europe I aim to both help reduce the number of new diagnoses, and improve life for those living with HIV. Born in October 1985 I grew up in the the Midlands, after school and college I found work in the IT sector. I was then diagnosed HIV positive on August 4th 2011, a day that changed my life, and my work forever. Since then I’ve dedicated myself to tackling stigma and improving education around HIV, sexual health and mental health – with an aim of improving life for people living with HIV, and bringing down the number of new diagnoses.